If you are one of the many that followed our tutorial for making a coffee table from a pallet then this is a perfect little diy project to add to your table. 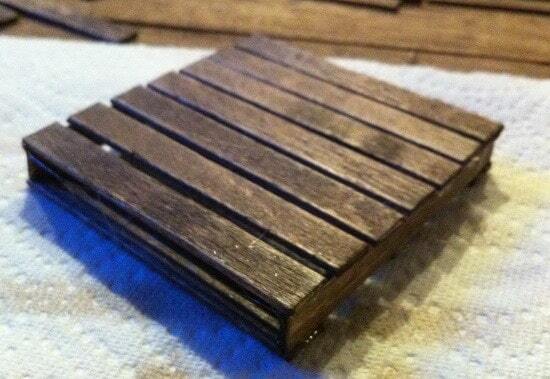 These little mini pallet drink coasters are easy to make and they will protect your pallet coffee table too. 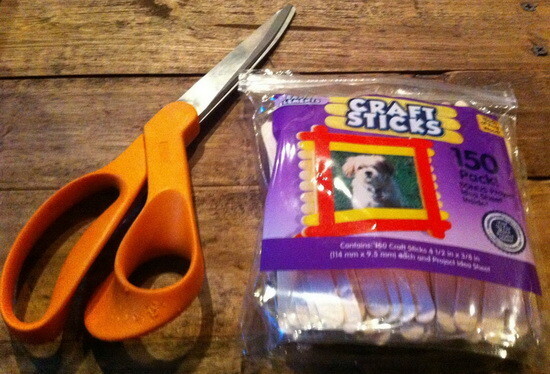 Here is the bag of craft sticks you will be needing to make this project. 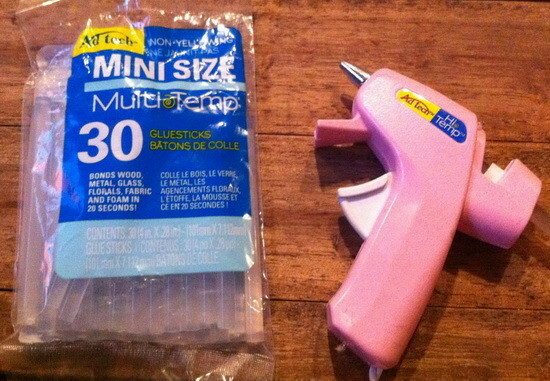 Here is a common glue gun with the glue sticks to secure the craft sticks together. Start by cutting the tips off of the craft sticks so the ends are square. 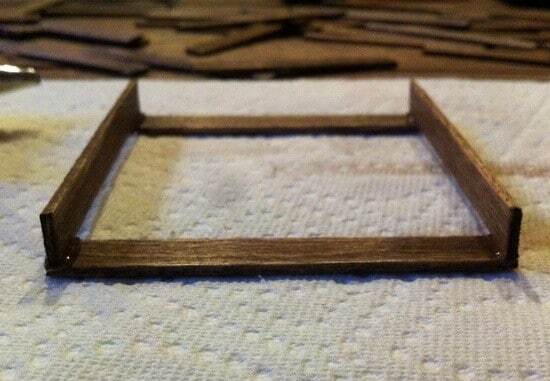 Next, stain the craft sticks with a wood stain of your choice. 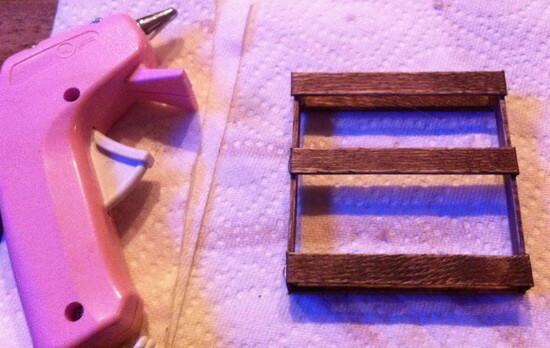 Then start putting the mini pallet coaster together using the hot glue gun as shown above. Continue gluing the small boards onto the pallet in an even fashion. Boom, finally the little pallet is together. 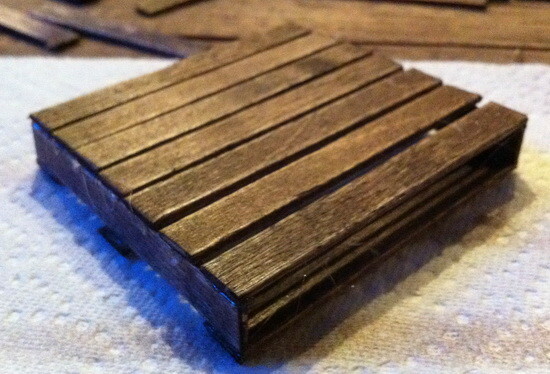 Another view of our mini pallet coaster completed. Once in the final form, remove any dried on glue from the sides with a craft knife. 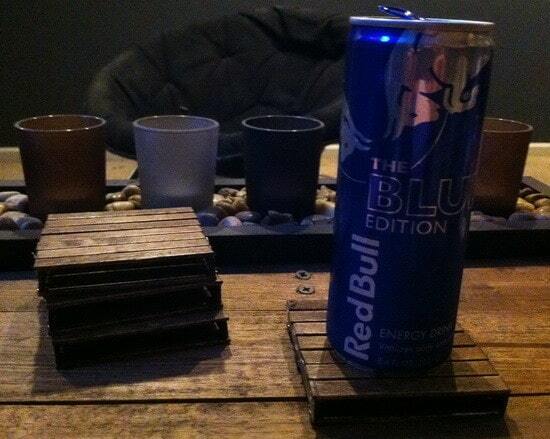 Here is the mini pallet coaster completed on our pallet coffee table. 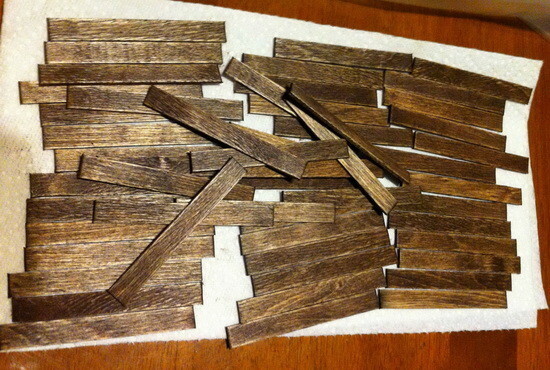 I was wondering that instead of cutting the ends off of the craft sticks, I could just put the whole pallet together and then sand off the edges? 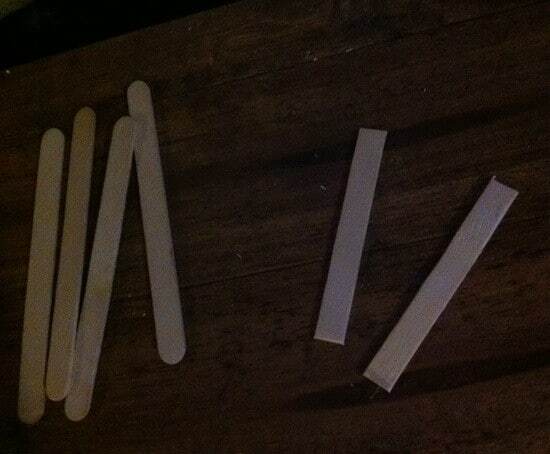 Do you think it would be easier to stain the popsicle sticks then glue them? Or glue them together then stain? 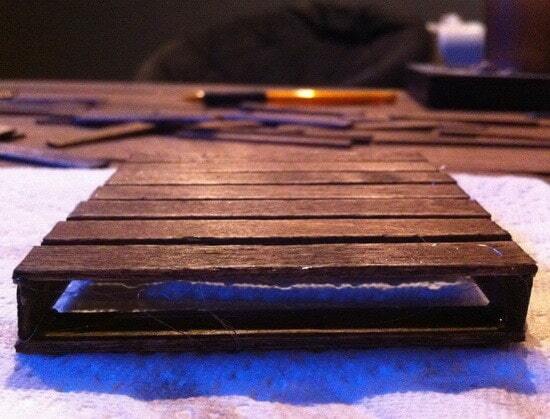 If you stain the popsicle sticks way in advance, then staining then gluing is OK. 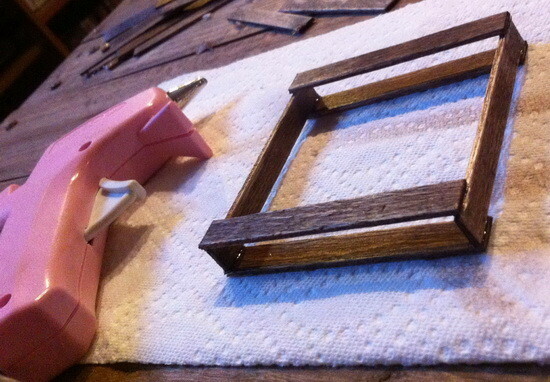 If you don’t have the time to stain them way before hand, then gluing then staining is OK. However if you glue then stain, the glue may make it difficult to stain some parts of the wood.